Thank you to Tinder Press for sending me this book in exchange for an honest review. Set in London in 1837, Anna Mazzola's The Unseeing is the story of Sarah Gale, a seamstress and mother, sentenced to hang for her role in the murder of Hannah Brown on the eve of her wedding. After Sarah petitions for mercy, Edmund Fleetwood is appointed to investigate and consider whether justice has been done. Idealistic, but struggling with his own demons, Edmund is determined to seek out the truth. Yet Sarah refuses to help him, neither lying nor adding anything to the evidence gathered in court. Edmund knows she's hiding something, but needs to discover just why she's maintaining her silence. For how can it be that someone would willingly go to their own death? I am slowly becoming more interested in different genres of fiction, Crime and Historical being two of them and as some of you may know I have been looking into broadening my reading choices and have been for a while now. When I found out about The Unseeing the first thing that caught my eye was the cover, it was so mysterious and kind of unsettling and I knew I had to read it. When a copy turned up on my doorstep a few days later I was most certainly over the moon. The Unseeing is the story of mother Sarah Gale who is sentenced to hang for her role in the murder of Hannah Brown, on the night before her wedding. After Sarah puts in a petition for mercy, claiming she never helped with the murder it is up to lawyer Edmund Fleetwood to investigate Sarah's case and to consider if she can be pardoned. However, Sarah refuses to indulge Edmund. Resulting in her not adding anything to the evidence that was given in court when she was sentenced. Edmund knows she knows something and starts trying to find out why she is staying silence, all whilst battling with his own demons. I had never read a book set in Victorian England before so this was a breath of fresh air. I loved reading about what London was like in 1800's and at times I would feel like I had gone back in time and was actually there. The descriptions were so vivid and felt alive that I just couldn't help feeling like that. The story itself was gripping and I was caught up in Edmund's investigations that I didn't want to stop reading. You could say I was hooked. I so desperately wanted to know what had really happened to Hannah Brown and it was like I wouldn't stop reading until I found out. The way the twists and turns come out are so shocking and I admit I didn't see some of them coming. I guess it was a way to add suspense. Sarah was a character that I did feel sorry for, but I also felt like something wasn't quite right with her. You found out a lot about her through backstories and I feel like I got most of my sympathy from reading about her past. Some of the stuff she went through was pretty nasty. On the other hand like I said I knew something wasn't quite right with her. I couldn't understand why she would keep quiet when she was at deaths door pretty much. You could definitely tell that despite this she did have love in her heart from her son and her sister and I think that may have been something that kept her going. I found Edmund to be a character that I didn't really warm to at first, but as time went on after finding out more about him I came to understand him more and more. His relationship with Sarah was something that stood out. Despite being there for legal matters, he still made sure that she was well cared and catered for. This book was part fiction and part fact, being based on a crime that did actually happen in 1800's - The Edgware Murder and this added to the mystery of it, I think. I'd never heard about this certain event and after reading I actually did look into it. This just made it stand out more to me in a way. 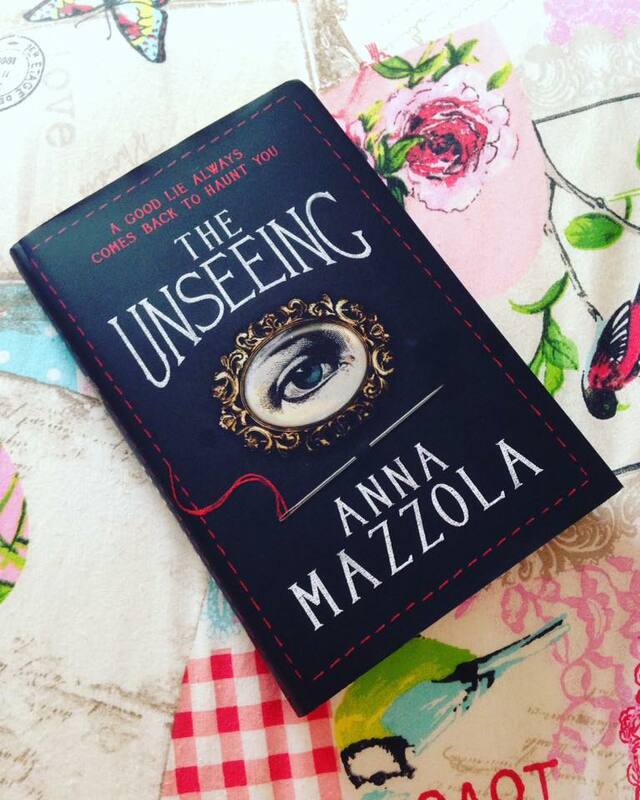 The Unseeing was a gripping, intense, dark read with many twists and full of mystery. I really enjoyed being immersed into the case of finding out what really happened to Hannah Brown and learning about how crime was investigated in nineteenth century. Anna Mazzola is a writer of historical crime fiction. Her debut novel, The Unseeing, will be published in July 2016 (January 2017 in the US). The Unseeing is based on the life of a real woman called Sarah Gale who was convicted of aiding a murder in London in 1837. The novel has already won competitions and Anna came runner up in the 2014 Grazia First Chapter competition judged by Sarah Waters. Anna has also written and published several short stories. 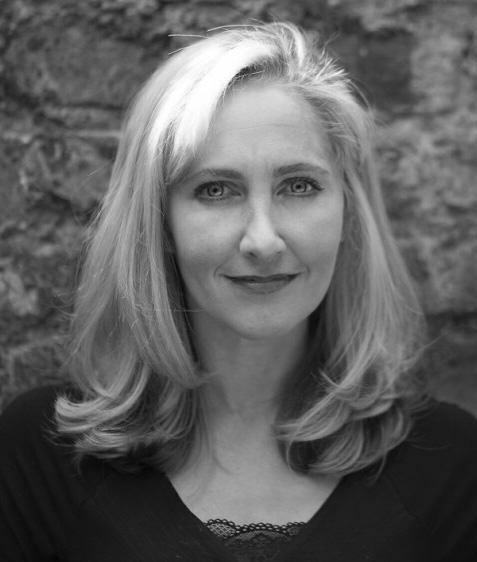 She is currently working on a second historical crime novel about a collector of folklore and fairy tales on the Isle of Skye in 1857. Anna studied English at Pembroke College, Oxford, before becoming a criminal justice solicitor. She lives in Camberwell, South London, with two small children, two cats, one husband and a lot of books.